There will be a number of activities for everyone in the family—especially foodies—at this year’s Taste of Dallas. 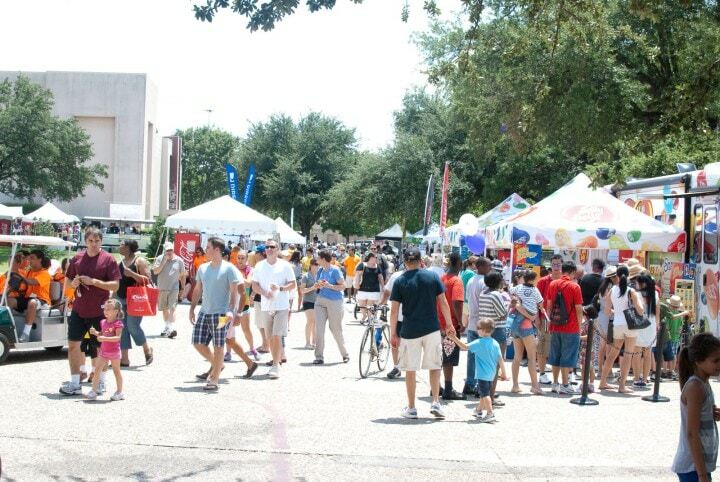 The Taste of Dallas will be held from 11 a.m. to 7 p.m. Friday and Saturday, June 10-11 at Fair Park. A special gathering of the best BBQ, burgers and brews in North Texas will be a highlight of this year’s Taste of Dallas. Live Fire, presented by Napoleon Gourmet Grills and Smoke’s own Tim Byres, a group of high-profile chefs, BBQ pit masters, 20 restaurants, and over 20 craft breweries will be featured on the Life Fire demo stage. Featured Chefs include Tim Byres (The James Beard Award-winning chef of Smoke, Chicken Scratch and The Theodore); Matt Pittman (Meat Church) known for his amazing rubs, seasonings, and tailgating parties. Tiffany Derry (Roots Southern Table) uses her Southern and Cajun influences; Dustin Blackwell (Hutchins BBQ) shows how to cook the best brisket; and John Tesar (Knife) will demonstrate a modern take on roasting a whole pig. Also featured will be Travis Heim (Heim Barbecue) known for their famous bacon burnt ends; Danyele McPherson (HG Sply Co.) explains how to use simple, clean, ingredients; Todd David (CattleAck BBQ) demonstrates ways to change up your brisket game; Jesse Griffiths (Dai Due Butcher Shop & Supper Club in Austin) goes “all-in” when it comes to making use of the whole animal. Nick Pencis (Stanley’s Famous Pit Barbecue in Tyler) instructs on how to smoke the perfect beef ribs at home. Oliver Sitrin (Blind Butcher) gives tips and tricks to fermentation. Attendees at Live Fire at Taste of Dallas will enjoy pairings from craft breweries along with all the fantastic food. Restaurants in Live Fire selling their signature BBQ or burgers include: Hutchins BBQ, Luck, Ten 50 BBQ, One90 Smoked Meats, 18th & Vine, Bone Daddy’s, Liberty Burger, Jakes, Grub Burger Bar, Oddfellows and more. An expanded, over-the-top, indoor Family Fun Zone presented by Direct Energy includes 50,000 sq. ft. of air conditioned space. Featured are large inflatables and slides, kid-friendly cooking demos, interactive kids fit activities, an entertainment stage, a toddler area, a Chalk Art Area presented by VersaChalk and even a Springfree Trampoline Fun Spot. Two of Gru’s loveable Minions will pose for a memorable photo. Outside, the Family Fun Zone will have backyard activities including corn hole and bubble machines. Restaurants and Food Trucks from across the region offer up tastes of their best dishes for only $2-$5 on Restaurant Island, where over 40 booths will offer food around Fair Park’s beautiful Esplanade. Don’t miss tasty shopping in the Taste Marketplace, where attendees can sample their way through dozens of local culinary vendors, local artisans, and more. Over 200 sponsors and exhibitors are taking part in this family-friendly event. Taste of Dallas is honored to partner with the North Texas Food Bank to help make a difference for people struggling with hunger in North Texas. Attendees can help by bringing two cans of tuna or chicken for $5 off admission. Kicking off Taste of Dallas is a one-night-only tasting experience, Foodie Experience: Best Bites of Big D, at an all-new location with all-inclusive foodie fun. The Taste of Dallas Foodie Experience will take place Friday evening only, June 9, at Gilley’s Dallas, from 7:30-10:30 p.m. Attendees will enjoy tastings from more than 40 top restaurants, including Fearing’s, Rosewood Mansion on Turtle Creek, Uchi, Amberjax Fish Market Grille, Tillman’s Road House, Chino Chinatown, Paul Martin’s American Grill, Parigi, LUCK at Trinity Groves, Top Knot, Kate Weiser Chocolate, Knife, Five Sixty by Wolfgang Puck and more. Top chefs will spill their secrets at dedicated chef demonstration areas, and attendees will enjoy pairings of food, wine, craft beers, liquor sampling and more — all included in the ticket price of $55. (21+ only). Tickets to the Taste of Dallas will be $15 at the gate. Kids 10 and under get in free with accompanying adult, courtesy of Direct Energy. Discount general admission tickets are on sale at area Walgreens, Albertsons and Tom Thumb stores. Special discounted online only ticket packages that include general admission plus beer sampling, wine sampling or live fire chef demonstrations can be purchased at http://tasteofdallas.org/tickets.html.